November | 2008 | Through the seasons before us..
Third round draw sends us to Eastlands..
Well, it will be a new ground for anyone in a watching-Forest capacity, the last time we played Manchester City they were still based at Maine Road. Naturally it tends to bring about one of two reactions from the fans. From those of a more optimistic nature (or younger fans who’ve only ever seen us as also-runners rather than ensconced in the top flight) it’s a cause for some excitement, a draw against a ‘big’ club – and indeed, like the Chelsea game, a club with incredibly rich owners. For those gloomier souls, they get upset that some kind of bandwagon might get jumped upon, that some of the thousands of tickets that will be available might get taken up by ‘part timers’ – well, duh! Of course they will. Even a fan like me, too young to have seen the proper glory days, can remember a time when a trip to Manchester City held no fear at all (except being dropped off in the middle of Moss Side by the coach), but well, you have to roll with the times. We are where we are, and therefore even if it’s a bitter taste to accept we are likely to lose – or be celebrated as giant killers if we pulled off a shock result, that’s the reality in which we find ourselves! Fellow Nottinghamshireites Eastwood Town perhaps didn’t get the reward they were hoping for, rather than a lucrative tie with Manchester United or Chelsea, they ended up with either a trip up the road to Notts County, or perhaps more likely, a trip to Kettering – which is where the Magpies need to head on 9th December to face Kettering in a replay, having only managed a 1-1 draw with them today at Meadow Lane. 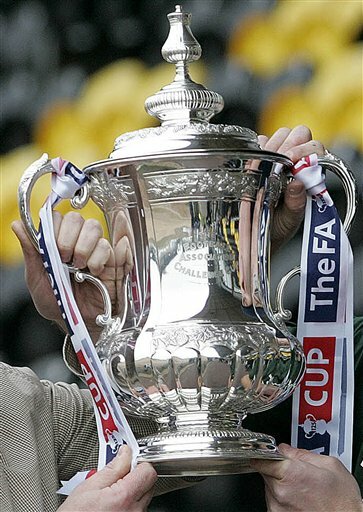 Either way, certainly having despatched Wycombe already, The Badgers have nothing to fear from either opponent, so will already be having sneaky thoughts about a potential fourth round appearance, and perhaps that lucrative tie! For those of you still feel grumpy about the prospect of playing underdog to Manchester City, and being part of a bigger-than-usual scrum for tickets for our game up at Eastland, don’t forget, we could’ve been entered into the earlier rounds, and we could’ve lost to Histon! Off the bottom, and Smoulds is still the gaffer.. So the key question of the day was where we were in 1984. Well, the 29th of November, 1984 was a Thursday, so I was probably at school. The people asking the question, with extra digits, were probably not even a twinkle in their cousin’s eye. Oh yes, and there was another question too, an all the more serious one, that of our manager’s future – was Smoulderwood going to walk today? Nobody seemed to be sure. Certainly it was claimed vehemently outside the ground that bookmakers wouldn’t take a bet on the bronzen one leaving before the day was out; I didn’t venture into Ladbroke’s myself to check this out – but certainly the pre-match mood was a combination of vultures circling over a carcass, or maybe a funeral for a relative you liked but didn’t know very well. Very few people whose conversations I earwigged (I do that a lot!) were particularly disparaging toward the manager – all in all, the confidence that ‘done deals’ had happened didn’t seem evident at all. On to the game, we started with a kind of 4-3-3 arrangement; Moloney was in at right back, with Morgan and Wilson in the middle and Lynch at left back. Anderson was on the right of the midfield three, McGugan on the left with Perch in the middle. Earnshaw, Tyson and Garner were up front, with Garner sitting deeper initially so that we almost had a diamond system going on. And it’s fair to say that for the first 20-30 minutes, it didn’t work very well at all! Campbell Ryce had the first shot of the day after a mere 2 minutes, I’m not sure if it deflected or not, but Camp seemed to react late and ended up conceding a corner by saving it. The corner came to nothing and Anderson was able to break through, the bodycheck by Souza saw him pick up a yellow card, McGugan wasted the freekick by spannering into the leering, ‘scab’ shouting Barnsley fans – swelled in number by the cheaper tickets. On the twenty minute mark Jon Macken missed a gilt-edged chance when he managed to put the ball wide from just six yards out, after which Forest started to amass some pressure – Earnshaw put the ball just wide after Garner nodded it down to them, again Garner fed Earnshaw who in turn teed up Anderson, but the winger’s effort was blocked for a corner. At the other end the impressive Moloney put in an excellent block to deny Macken again. It was a disjointed game, much like tuesday night’s, between two teams who struggle to create chances – Barnsley knocked the ball around reasonably well, Forest – it’s fair to say – hadn’t really been up until now. The formation had tweaked itself into more of a 4-4-2 with Tyson on the left, and it was down this channel he burst; initially I thought he’d missed the opportunity to slip Earnshaw in who was alongside him – instead he beat his man and crossed to Garner who rose to head home from close range to give us a very unlikely lead. Just before half time there was further evidence that we’ll never get a penalty this season – Garner was completely clattered in the box; ending up clutching his head (ironic given the away fans odd chanting of ‘Stand up for Iain Hume’). The referee wasn’t having any of it, though, as we’re becoming accustomed! Half time came, and we had a chance to reflect in the bitter cold on whether we’d be able to add to, or hold, our lead. General opinion wasn’t positive! The second half started much more positively; McGugan seemed to take the ball through the entire defence before crossing to Earnshaw whose effort was blocked. Shortly after this the midfielder cut in from the left and from the edge of the area curled an excellent shot which bounced off the bar and over. Although, somewhat inevitably, the visitors too were creating chances – a long range effort was tipped around the post by Camp for a corner, and the pressure was starting to mount. Kelv had a calamity moment when he slipped in the area leaving Cureton with a pretty much clear go at goal – luckily for us Lynch was on hand to sort it out. Earnie was withdrawn for McCleary, and shortly after Anderson (my man-of-the-match, just pipping Perch), was withdrawn for Thornhill. Moloney put in a goal-saving challenge to deny substitute Rigters a pretty much nailed on goal. Tyson’s petulance picked him up a booking; although Barnsley’s ‘Mr Bump’ (Stephen Foster) should’ve kept his gob shut as the referee didn’t look like he was due to act until he mouthed off at him; he’d kicked away the ball after the whistle had gone – picking up what is apparently his fifth booking of the season so that’s a game out for the striker. Four minutes of stoppage time was announced, and Garner (who’d also picked up a booking for something – after a clash of heads in the box) was withdrawn for debutant James Reid. Well into stoppage time the referee decided to ignore another blatant shove by a Barnsley player – this time in our penalty area – allowing ‘Mr Bump’ Foster to head goalward – well, almost – it hit the bar. It should’ve been blown up as a foul, however. The final act of note was a freekick 35 yards out – Barnsley sent their ‘keeper Heinz Muller up front, but it was a decoy of sorts – as De Souza unleashed an almost Metgod-esque (well okay, not really!) effort that whizzed through the crowded box; but Lee Camp did exceptionally well to keep his concentration and make the save – which pretty much brought about the final whistle to cheers of relieve from the home fans, and miner’s strike-inspired venom from the visitors – most of whom weren’t born during them! And so we got the win; of the options open to us, it would appear that either Forest are playing a very elaborate pantomime, or that the ‘he’ll be gone regardless of the result’ type rumours that were being peddled as fact before today were infact a pile of turd. Whilst I wasn’t (and am not) necessarily opposed to his removal as manager, with all this talk of Billy Davies coming in, I must admit I was a little relieved to get back to the car and hear his dulcet tones on the radio as I negotiated my way through the traffic to home. What the next few days holds is anybody’s guess, but certainly with the loan window closed no matter who is managing us, they would have the same squad to work with – so perhaps Kylie was right all along, and the devil you know might indeed be better in some circumstances. Whatever happens, we needed those three points desperately – and for now at least, I don’t have to Photoshop Smoulders from the banner for this website! PS: To the idiots with the banner, save it ’til after the game, if you have to at all, eh? Came to mind after spotting this headline over on Vital Forest. Don’t worry, I’m getting ready to go to the match now so won’t inflict further of my random braindumps on to you – well, until later when the unenviable task of a match report shall await me. And watching us play, is making us ill! ‘Cause Forest are falling down, down by the river. Right, I’m off to find my woolens and make that sad, unexciting and uninspiring pilgrimage to the City Ground. Can any of you remember a time when a trip to watch Forest was an exciting event? Never dull? It bloody well is! What a pickle, what can we expect for today given the events of the week? Aside from it being bloody cold, of course – so wrap up warm! 1. We beat Barnsley and despite all the rumours, it gives Smoulds a stay of execution. 2. We beat Barnsley, but Smoulds goes regardless and takes the reigns at Swindon. 3. We don’t beat Barnsley and he goes. 4. The (perhaps more preferably) game gets called off due to fog as we’re all given an afternoon off from Forest-induced misery. But then get dragged into town for a spot of Christmas shopping with the missus. Maybe it’s not more preferable after all. The bottom line is nobody seems to know, after it was looking certain that the bronzen one was in the firing line he remains in charge for this game; although it is widely stated with confidence that he will be stepping down afterward, it’s not been confirmed. Perhaps it was a cunning ruse by the powers that be to sell a few more tickets on a chilly November afternoon (cynic? me? no! ), or perhaps an invented rumour taken up too enthusiastically. 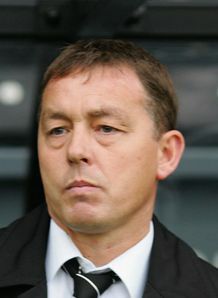 Certainly talk of Billy Davies being successor makes me rethink my own feelings around wanting Smoulders to be relieved of his duties; a less inspiring appointment I would struggle to envisage. Maybe that’s a conspiracy too. Maybe it all is. One of the cliches around times of crisis is that kind of blitz-spirit type comment of, “well, it’s never dull, is it? !”… well, frankly, in this case yes it is. It is dull. It’s dull seeing all the desperate rumour-peddlers trying to be first to guess correctly what might happen, it’s dull seeing the forums descend in to a mass of repetitive threads in appalling English – personally I’m getting beyond having an opinion about what happens, I just want something to! On a nicer note, I had an email from a chap at Virgin Media. As you know (or should know!) they secured the rights to show highlights online this year, and have just expanded their sports pages so that Forest has it’s own page. So if you bookmark this link, it will take you to the Forest page where you’ll get to see the latest highlights (lowlights?) from our games. I’ll pop a link on the sidebar thing too as I think it’s a useful page to keep handy. Filed under: Thoughts |	Comments Off on Never dull? It bloody well is! It’s not surprising rumours are rife that Smoulds has walked/been sacked/is talking through his severance package with Forest. Things have been pretty grim of late, with the odd glimmer of good performances heavily outweighed by an appalling run of results. Whilst on a personal level – as I quite like Smoulds as a person – it is quite saddening, on a football level it seems beyond doubt that he is not capable, for whatever reason, of turning things around. Firstly, I know absolutely nothing about what is or isn’t happening. I had attempted to do a round of the usual sources to try to piece it together – but frankly, as far as I can establish, nobody really knows what is happening. Early yesterday it was Big Sam poised to step in, today it would appear that Billy Davies is the primary candidate – and whilst I do concede that Smoulderwood really needs to go, I’m not sure about Davies as a successor. For all his ‘hoof ball’ detractors, Big Sam brings cutting edge training, dietary direction and performance tracking and monitoring; he also brings success (whilst he didn’t exactly do amazing things at Newcastle, it was hardly as bad as it was suggested either; unfortunately Newcastle just seem to have unrealistic expectations). I think I could cope with that. Billy Davies doesn’t really inspire me at all. Today is apparently the day; if you believe the rumours – although I know people who dutifully put aside their work and trawled the Internet all day yesterday; I imagine they’re doing the same today. I think I’ll just get back to my day job and await the news to break officially. I’m sad that Smoulds couldn’t seem to adapt, but it seems he can’t – and I reluctantly find myself feeling glad that the signs point to his imminent departure. Nice bloke, either somewhat lacking in management guile or in the wrong club at the wrong time. Either way, I wish him well where he ends up (odds on the Swindon vacancy, methinks!). 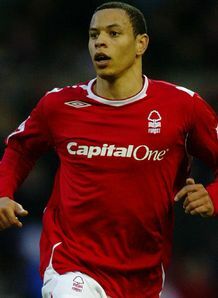 He’s never quite won the fans around, and unfortunately it seems a policy at Forest to make divisive appointments – certainly all the names mentioned are those; but of course we must remember we’re at the foot of the Championship and – despite it being November still – running out of time to mount a credible charge to safety. I suppose beggars can’t be choosers. PS: Does anyone else have that godawful Kylie song stuck in their head thanks to the headline? If so, sorry! A point at Donny; it’s not really enough, is it? Tys: worked his arse off despite very little service from his much more lethargic colleagues. The second game in a week billed as a six-pointer, and rather than end up with a theoretical negative points (by letting our opposition end up with more points than us), we ended up with none. Both teams shared a point that is barely of use and does leave us contemplating the very real threat of relegation – and it’s not even December yet. Sometimes you talk yourself into heading to a place like Doncaster to watch Forest, and having done so twice, and ended up at home again, I find myself wondering why. This game looked basically like what it was, two ill-equipped teams slugging it out in a lethargic fashion on a tuesday night; I suppose to expect anything different would have been foolish, but the pursuit of being a football fan is just that, I suppose! Doncaster knocked the ball around well creating limited openings, Forest probably enjoyed the best chances which were either missed or saved. That said Doncaster hit the bar, had what looked like a ball that crossed the line not given, and almost lobbed the randomly way-out-of-his-goal Lee Camp; ironically by far his worst performance in a Forest shirt and yet his first clean sheet for us. So anyway, the game – Coppinger (who I’m amazed hasn’t been picked up by a higher placed team yet) unleashed a great shot toward the top corner, it struck the bar with Camp well beaten and fell to Gareth “The Elbows” Taylor, who characteristically spooned the ball well off target. Forest started scrappily, and looked vulnerable to attacks by the home side which seemed (much like ours do) to falter when it came to playing the final ball or taking the final shot. Martin – restored to the starting line-up – tried to tee up his opposite winger Anderson, but all Forest ended up with was a corner – and all we ever end up with from corners is bugger all. Wes was doing a good job of marshalling the immobile Taylor, although from a corner Mills was gifted a free header in the middle of the penalty area which he conspired to put wide of the post. Tyson was putting in a lot of running though; and the slow Doncaster defence struggled to deal with him when we actually managed to play the ball to his feet – he burst into the area, and looked for me to have time to take a touch and have a shot; instead he unselfishly attempted to cut the ball back for Garner, sadly it wasn’t the best of passes and Garner’s tame shot was straight at Sullivan. This began probably the most mildly interesting section of the game – unusually from a corner we actually fashioned a chance; Garner rose well to head goalward, and just missed taking a deflection on the way through. Tyson again burst into the area but dragged his shot fairly horribly wide of the far post; but Tys was causing Donny some problems with his pace – because they didn’t seem to have any at the back. This was amply demonstrated when Tyson again burst through between two Doncaster defenders, he was sort-of clean through and hacked down by Chambers (not our Chambers! ); the fact that he’d taken a touch away from the goal and there were other defenders tracking back probably made the referees decision to merely book the defender probably the right one. Anyway, we don’t want to play another ten man team again, do we? Once again the offense in question was just outside the box, resulting in a freekick which Lewis promptly spannered into the wall. Garner had a decent header saved well by Sullivan after a good delivery by McGugan, and that heralded half time and much chuntering from the Forest fans; and the interlude of a bunch of cheerleaders half-heartedly dancing around. It didn’t bode particularly well, Doncaster looked eager and inventive, but well, a bit rubbish. Forest had looked lethargic and uninterested, and well, a bit rubbish (holistically, a few players stood out as at least not looking lethargic and uninterested!). The second half started with Lee Camop in action; saving from Hayter. At the other end we were convinced Tys had scored; unleashing a shot from 25 yards which looked like it had gone wide – but rebounded behind the goal in some kind of cruel optical illusion that made it look as though it had nestled into the net. The reaction of the Doncaster fans to our initial then abortive goal celebration would return to bite them on the arse in not too long at all. Doncaster should have really taken the lead. Coppinger was given all the time in the world to shoot; Camp wasn’t quite enough to stop it going straight through his hands and whilst he attempted to retrieve it, it was well over the line but the dithering (sorry, I mean heroic!) linesman eventually plumped for a decision in our favour. Naturally the home fans were seething – and we finally got to hear some noise from them! Forest went forward but Garner shot over from around the edge of the penalty area; before being promptly replaced with ‘miracle man’ Robert Earnshaw (Smoulds had earlier said that it would take a miracle to see the diminutive striker make an appearance). He had to be patient to get a sniff, but made Sullivan panic into a dive with a cheeky curling shot from the edge of the box which was just wide. The final chance fell to Doncaster substitute Elliott, who spotted Camp wandering about off his line for no good reason again – he lobbed from 40 yards and even had space to bounce the ball behind Camp but it was either just wide or just over; I couldn’t really tell from my seat. Either way, it was another let off – albeit a legitimate one this time with no interventions from the dubious officials. The final whistle was greeted with indifference – a few boos, a few claps. The players who approached the fans at the end were given a partially good reception, the majority of supporters were keen to get back to their transport and get home so didn’t really pause to react at all. A disappointing result which really does bring that dreaded R word into the frame probably for both teams on the pitch; although on balance of play and chances, it’s the Donny fans that will feel most aggrieved. Do we sack the manager? I really don’t know – I imagine at least one commenter will be convinced of it; but I don’t profess to know the answer – but increasingly the ‘not good enough’ and ‘something needs to change’ records are getting somewhat worn out on this metaphorical gramophone. Man of the match was undoubtedly the linesman with the plain yellow flag and the pot belly. Forest should never wear a black shirt with red shorts and red socks again, it just looks wrong.